Overall, I had a great time allowing Diablo III to steal my life. With its action packed dungeon diving, very engaging loot system and allowing you the ability to sit down and play with friends on your couch as well as playing online, this game chewed up entire days of my life before I realized I hadn’t eaten in 27 hours (sadly, true story). Although it did have some drawbacks with its rather linear storyline and the somewhat repetitive button mashing it is still going to be one of the most fun times you have slaying demons with a friend this year. Celebrating two years of hard work, Ultimate Evil Edition is the indeed the ultimate version of Diablo III. Considering the package includes the original game, the Reaper of Souls expansion and immeasurable improvements, it’s also a great value. ...Delivering the full HD experience, Blizzard’s jump to current-gen consoles is a flying success. Its narrative qualities are still abysmal, but you’re not reading this review hoping for a great story, you’re hoping Diablo III: Ultimate Evil Edition is a great dungeon crawler, and there is absolutely none better. While those with high-end PCs need not apply, Evil Ed. makes hell look like heaven. This is the best version of Diablo III, possibly anywhere. Sure, it may look better on PCs with high-end graphics cards, but you can’t beat the control scheme and accessibility of the console version. 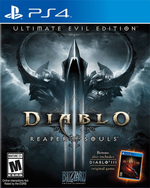 Touting improved graphics, little to no load times, and extra content, Diablo III: Reaper of Souls Ultimate Evil Edition is a must-have for any RPG fan, whether you’ve played previous entries in the series or not. The campaign mode is fairly straightforward, and can be finished fairly quickly, but the Adventure Mode and Nephalem Fields offer huge replay value. Perhaps the definitive version of Diablo III, Reaper of Souls Ultimate Evil Edition is streamlined, buttoned-down and an absolute joy to play - especially so when you start adding friends. As a value buy, Diablo III: Ultimate Evil Edition is unquestionably solid and, given its enhancements over the last two years, is difficult to fault. ...But disregarding these very minor gripes, it has all the dangling carrots you want to take a lowly character, beat the game as a Level 59 monk within three days (like I just did), and savor every minute of it. Diablo III: Reaper of Souls - Ultimate Evil Edition still has flaws – a boneheaded narrative, minor framerate hiccups, and an inventory system that lacks the elegance of its PC counterpart – but these small niggles fail to dent what is an otherwise exceptional experience. It’s a bit mindless, yes, but collecting loot and slaying enemies is seldom as sweet as it is here. Quite simply, this is an excellent action RPG. Diablo 3: Ultimate Evil Edition feels like the happy conclusion of a two-year public beta, with the initial purchasers on PC bearing much of the grief with the auction house and the slow pace to reach level 60. Those who have held off up to this point will benefit the most, while those who got a head start on the PlayStation 3 or Xbox 360 versions will be able to transfer their saves to their new gen console of choice. Barring that, though, the console versions of Diablo III are well-built and adapted to a controller quite well, so at some point it becomes a matter of preference. If you're excited about the genre and love to smash enemies to watch a series of numbers go up as you collect better and better gear, this is a good way to fulfill those needs. A fantastic dungeon-crawler that is still mercilessly addictive two years after the fact, Diablo III turns out to be a surprisingly good console fit. Most of the content will have been seen before if you have a prior version though, so don't feel pressured to rush out and get it. Exclusive here, too, are a number of tricks that aim to make your Diablo binging a litte more… social. That’s a scary word to start throwing around in a game such as this, but the end result is a more entertaining one. ...Thankfully, small touches, such as ‘Apprentice Mode’, help the overall concept: players of different levels can still crawl together without the lower levelled character feeling useless. If you haven’t played Diablo III before and are interested, do yourself a favor and get this. You will have at least 30 hours if not more just in the main content. Diablo III was a fantastic game to begin with, and Blizzard has just refined it once again, making this the best version to have. Diablo 3: Reaper Of Souls – Ultimate Edition is a fantastic release of an already great game. There may just about be enough here for veterans of the original release and its expansion to return to the world of Sanctuary, but for those who’ve yet to experience it the PS4 edition is a truly excellent dungeon-crawling RPG, and the definitive console release, capable of providing hours and hours of gameplay. Blizzard has put a lot of work into Diablo III in the last two years. 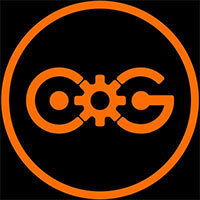 The game has seen a number of improvements on the PC, and these have carried over to the consoles. This synergy between the games makes it a far less jarring transition for those who have put time into the PC version of the game. For those who only know the console version, Ultimate Evil Edition is a significant upgrade to the console version released last year. All told, we were really impressed by the Ultimate Evil Edition. If you've played it extensively on the PC then you've seen the significant stuff already, and it's not a straightforward recommendation; you'd have to really want the game on console. ...And finally, if you've never played Diablo before, then now's the perfect time to get stuck in, because this is a great version of a great game and it's well worth an investment of both your time and your money. It's a gaudy labyrinth, rammed with horrible foes and capable of drawing in the most casual adventurers before turning them into committed min-maxers. You know the sort? Forever fretting over paragon points, pursuing improbable armour sets and ceaselessly fine-tuning their personal demi-gods until the skills and the runes reveal a model of their sweetest desires. 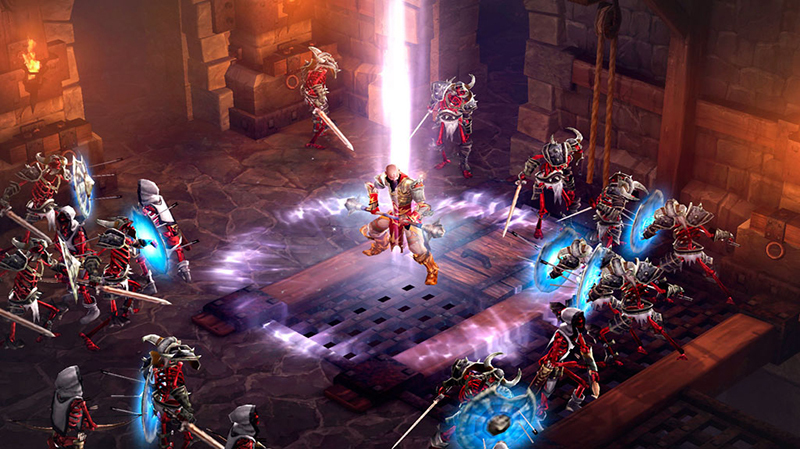 Diablo 3: Ultimate Evil Edition is the definitive version of Diablo 3. Not only is it the best dungeon crawler on consoles, it is one of the most addictive titles to come out in a long time. ...an Adventure Mode that will keep you playing months to come, and the paragon system which allows you to upgrade your characters past the level 70 cap, Diablo 3: Ultimate Evil Edition is a no brainer not only for fans of the franchise but for any RPG fan. 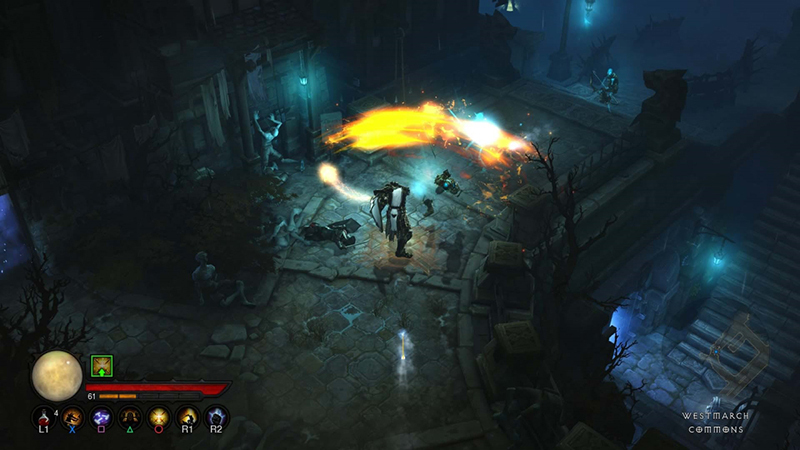 Diablo III: Reaper of Souls Ultimate Evil Edition is a genre-defining experience on consoles. It's a must for console-owning fans of the franchise, and a highly recommended entry point for anyone interested in the action-RPG genre. Smooth controls. Events and streaks that mix up gameplay dynamics. 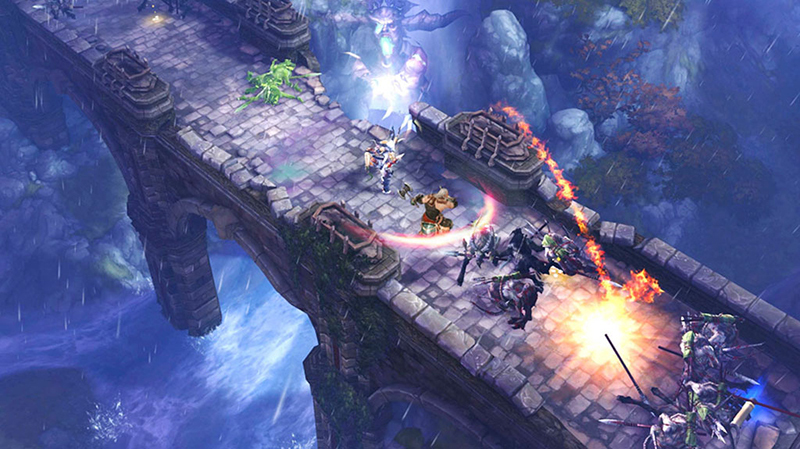 Adventure Mode and Nephalem Rifts add elder game variety. Cross console, cross generation saves. Diablo III: Ultimate Evil Edition es la versión más completa hasta la fecha del juego de rol y acción de Blizzard, tanto en PC como en consolas, y un salto cualitativo en cuanto a lo visual en las máquinas next gen. ...los que buscan un videojuego que aporte bastantes horas, rejugabilidad y retos en multijugador con tres colegas. Eso sí, nadie puede negar que, para los nuevos jugadores de Diablo III, la versión Ultimate Evil Edition (mejor aún si es en PS4 o One) se convierte por méritos propios en uno de los mejores hack n' slash que pueden probar. Una adictiva montaña de contenidos que te pueden mantener enganchado a tu consola durante meses. 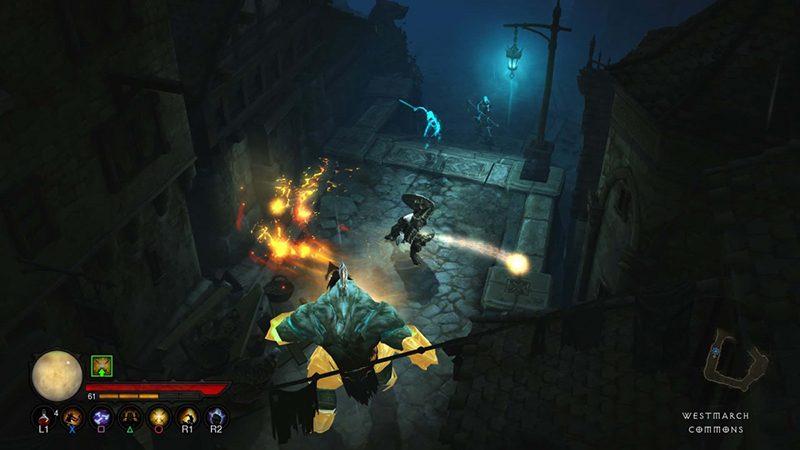 Tras unos inicios complicados, Diablo III ya es la mezcla de action RPG, dungeon crawler y hack 'n slash que esperábamos de Blizzard. Es un juego divertidísimo y tremendamente adictivo, con cooperativo brillante y que ha sido adaptado a las peculiaridades inherentes de las consolas de sobremesa con un mimo y un cuidado encomiable. ...es un título sólido, largo y muy disfrutable con el que estarás entretenido una buena temporada. Épica, muy intensa y con montones de contenidos jugables por descubrir, Ultimate Evil Edition de Diablo III raya a un nivel sobresaliente. ...Por eso, si todavía no tenéis Diablo III esta es la excusa perfecta para hacerse con uno de los mejores juegos de acción y rol del momento. ...Pero si ya contáis con el original en consolas, o lo tenéis en PC, las novedades que aporta esta edición especial saben a poco; y más al precio al que se venden. Doch das einfache Hack&Slay;-Konzept mitsamt seiner überarbeiteten, hoch motivierenden Beutejagd passt optimal auf die Konsole. ...Und mit den zahlreichen kleinen Verbesserungen, die sich zu den bewährten Inhalten und Erweiterungen wie dem Abenteuer-Modus oder dem Kreuzritter als neuer Charakter gesellen, ist diese Fassung ein Rundum-Glücklich-Paket - egal ob man solo oder mit bis zu vier Spielern auf Monster- und Gegenstands-Jagd geht. Auf PS4 und Xbox One ist das Bild glasklar und aus angemessener Entfernung eingefangen, um jederzeit Herr der Lage zu sein. Digital Foundry klärt derzeit noch, wie die mir nicht vorliegende Xbox-One-Fassung sich in Sachen Performance schlägt. Auf der PS4 mit ihren gefühlten 60 FPS besteht kein Grund zur Klage. Comptez aussi sur tous les ajouts de Reaper of Souls, pas mal de petites nouveautés, un mode de jeu hors-ligne et un multi efficace et vous comprendrez que Blizzard signe là un excellent portage qui permettra aux joueurs consoles de découvrir ou de se replonger dans les centaines d’heures de contenu de ce Diablo III. Mission accomplie avec brio pour Blizzard qui nous propose avec cette version PS4 de Diablo III l'un des portages PC vers console les plus soignés que l'on ait vu depuis longtemps. ...le titre propose un gameplay à la fois nerveux et naturel qui atteint des sommets en multi, notamment avec le mode local exclusif. ...A moins d'être un grand allergique au hack and slash, aucune raison de rater cette aubaine, a fortiori à l'heure où un gros jeu PS4 / Xbox One est repoussé à 2015 chaque semaine. 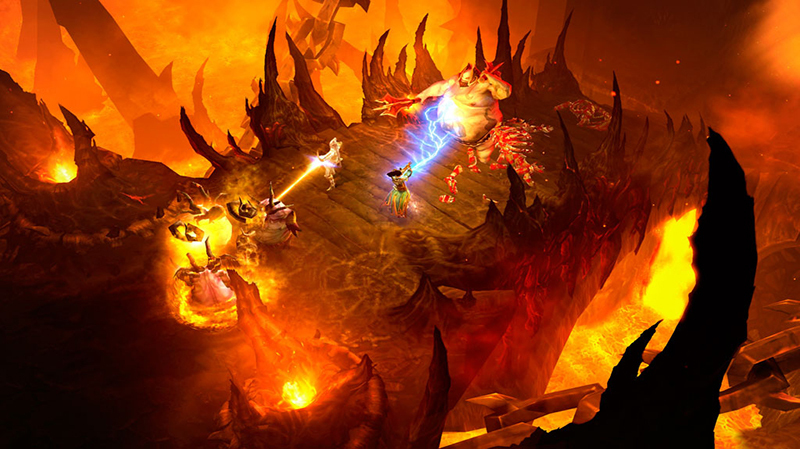 Diablo 3 Ultimate Evil Edition é sem dúvida um pacote imprescindível, com todas as atualizações ao longo dos dois anos da sua existência, que tornam este jogo quase perfeito, colocando bem longe os tempos em que determinados géneros eram impensáveis em determinadas plataformas. Ora non solo sulle console di nuova generazione la realizzazione tecnica è migliorata, ma per tutte le edizioni della Ultimate Evil Edition, i contenuti aggiuntivi ci mettono di fronte a un gioco molto più completo, con un end game strutturato in modo molto più intelligente e con una quantità davvero appagante di nuovi contenuti. Imperdibile di sicuro per chi non ha ancora giocato Diablo 3 su console, ma comunque troppo appetitoso anche per chi l’ha già finito. A parte qualche occasionale calo di frame-rate e alcuni piccoli nei mutuati dal gioco base, Diablo 3: Ultimate Evil Edition non è solo un acquisto consigliato, ma consigliatissimo a chiunque ami i dungeon crawler e i giochi longevi che ripagano la pazienza con tante belle ricompense luminescenti! Het mag duidelijk zijn dat de Diablo III: Reaper of Souls - Ultimate Evil Edition inderdaad de ultieme versie is die zijn naam doet vermoeden. Het spel loopt vlekkeloos op de PlayStation 4 waar wij op spelen en ziet er prachtig uit. 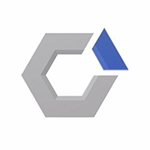 De directe besturing, grote lading content en alle kleine nieuwe functies maken het een game waar je honderden uren speeltijd in kunt stoppen. Role-playing betekent dat je personage groeit in zijn rol. En in Diablo III: Ultimate Evil Edition werkt die groei enorm verslavend doordat je 70 levels lang nieuwe vaardigheden krijgt, het diepgaand Paragon-systeem jouw favoriete speelstijl steeds beter uit de verf brengt en oneindig veel dungeons steeds nieuwe loot beloven. Die verslavende gameplay en potentieel eindeloze content zorgen ervoor dat je tientallen uur aan het scherm gekluisterd zit.